If you love the look of rustic chandeliers with a touch of that farmhouse style decor, these 10 farmhouse chandelier ideas are perfect for your home decor! 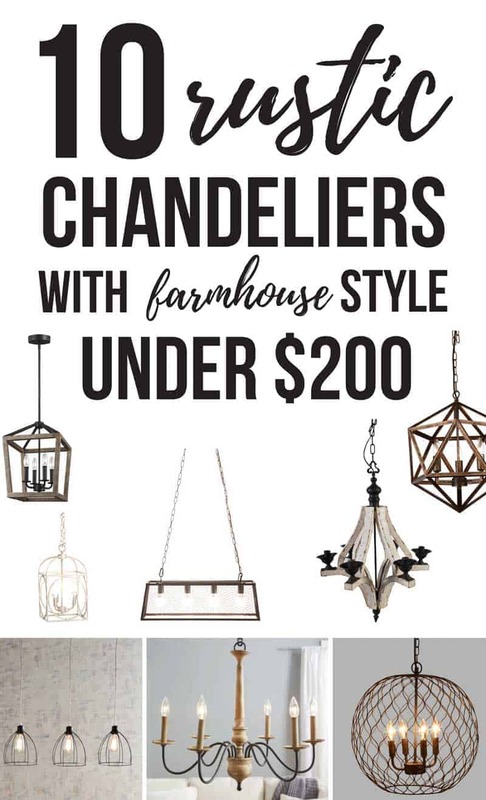 These are all so cute that you’re going to have a hard time choosing your favorite farmhouse chandelier. For many people, the first thing that they notice about a room is the lighting. Their eyes automatically go up to the ceiling, taking in the light fixture that initially caught their attention. Do you have a bright and light focal point in your home that reflects your home decor style? If you don’t have a farmhouse chandelier hanging from your ceiling, you are truly missing out! They add such a “wow” factor and are a great focal piece to change the ambiance of any room. If you’re shopping for rustic lighting, it can really add up fast. So today I’m keeping these rustic light fixtures budget friendly…because that’s what I know you guys love (me too!). Here are 10 rustic chandeliers that you need to consider adding to your living room. 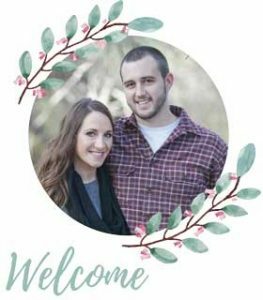 This farmhouse chandelier post contains affiliate links, but nothing that I wouldn’t wholeheartedly recommend anyway! Read my full disclosure here. 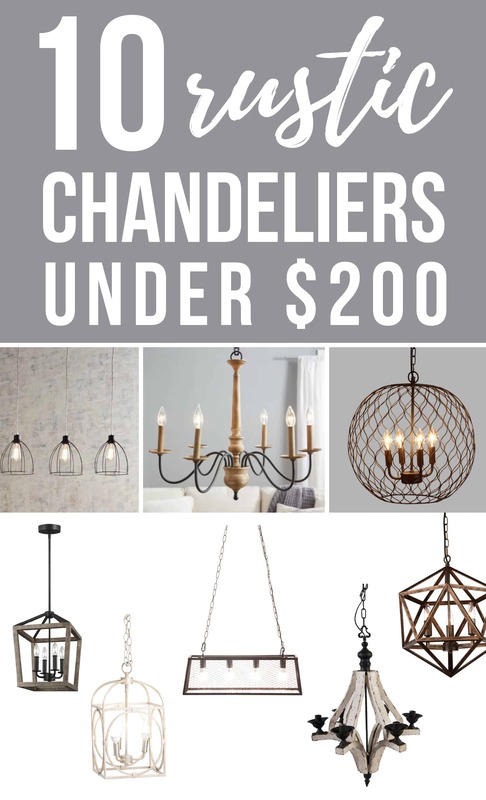 Are you ready to see these farmhouse chandelier ideas under $200? 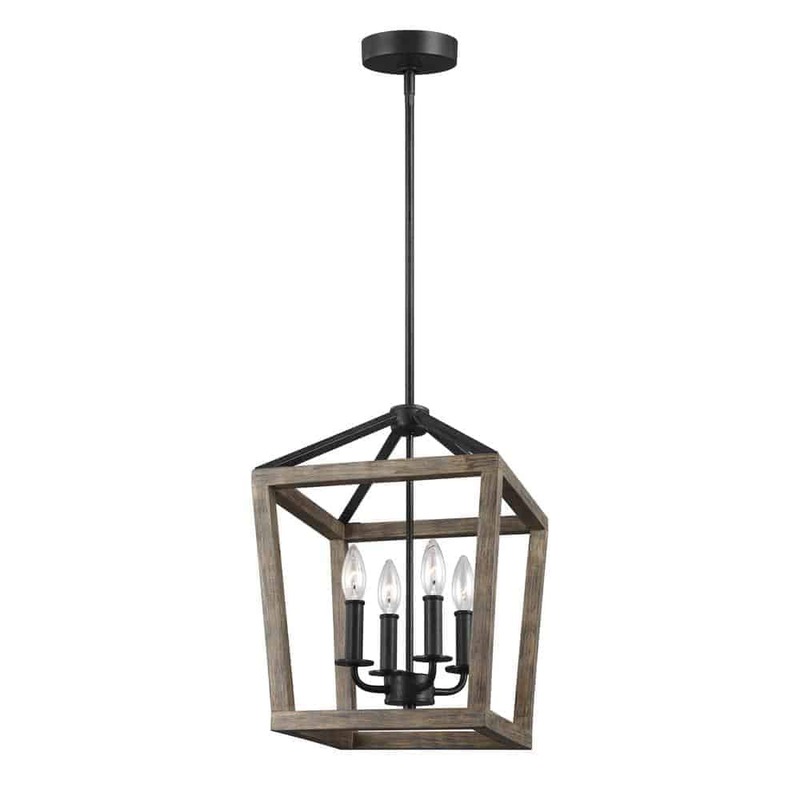 This distressed wood farmhouse chandelier screams farmhouse style. I just love the rustic, antiqued looking finish. It would make a beautiful addition to any room in your home! Talk about the perfect look at the perfect price! If you are looking for a rustic chandelier that is sure to be a show stopper, this is the one for you. 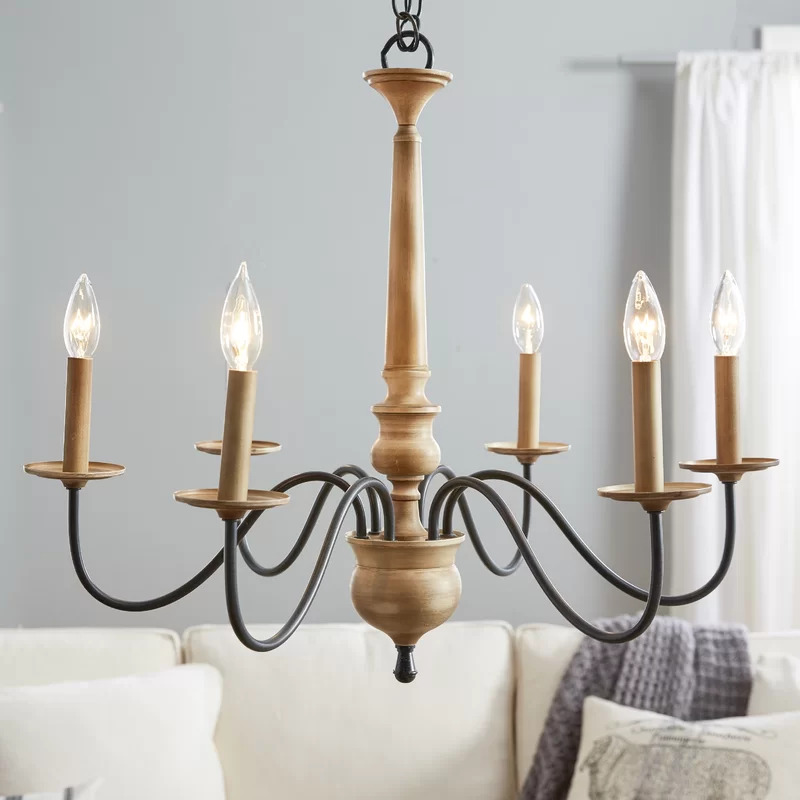 Give your room the upgrade that it is looking for with this stunning farmhouse chandelier. 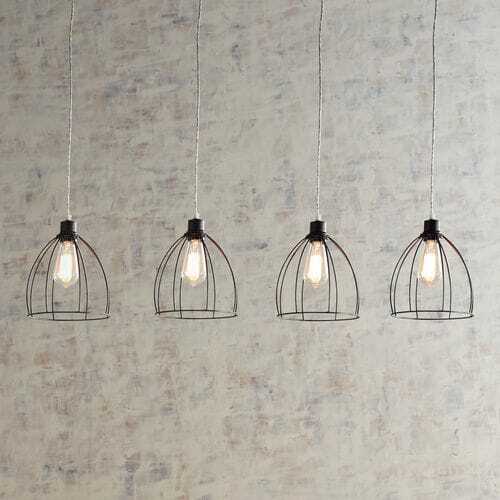 I love the simplicity of this rustic light fixture. Simple can be quite stunning! Let the chandelier do the talking for itself. I think this one would look awesome above a dining room table or kitchen island! 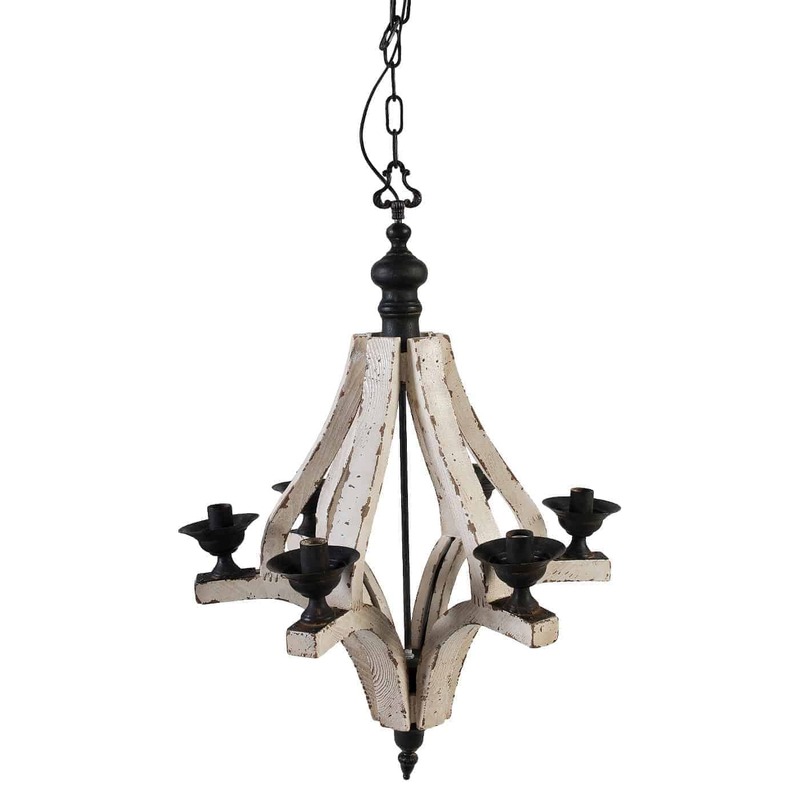 Bring fashion and style to your dining room with this rustic farmhouse chandelier! It was made to make a statement! I love the weather oak wood look complete with 3 light bulbs. Be bold and welcome this beauty into your home! 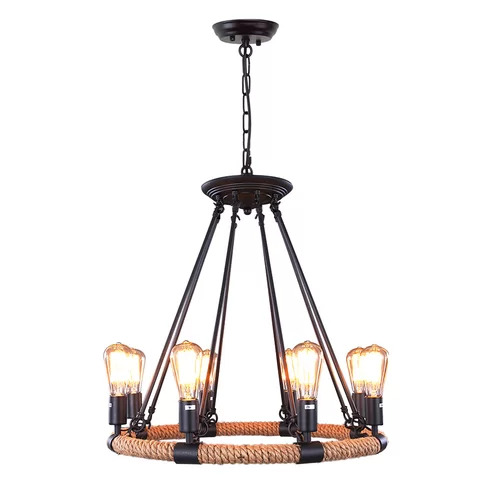 Say hello to the beauty of bronzed copper with this awesome farmhouse chandelier! I love how the geometric design mixes with the farmhouse style. The dark color creates a beautiful look to complete the rustic feel. 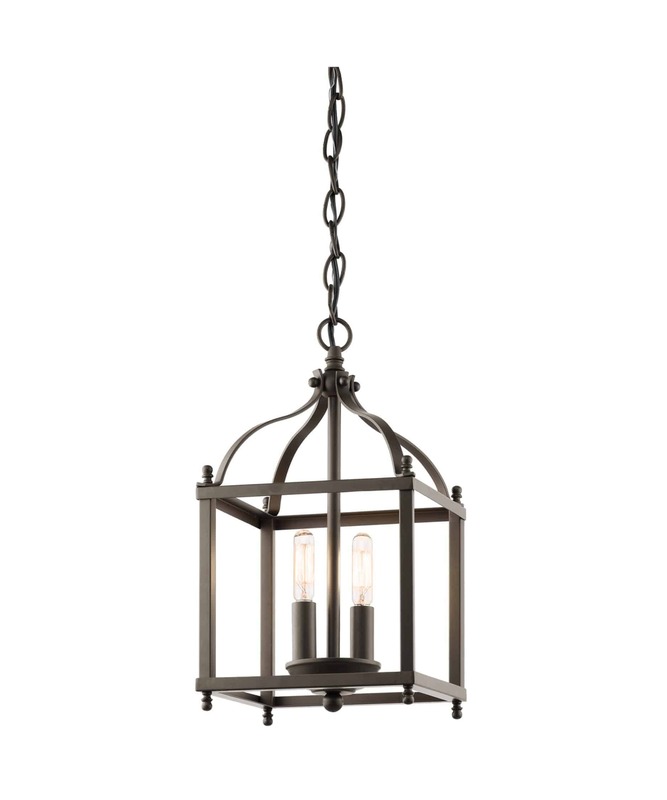 Rustic chandelier for only $99? Guaranteed to be a beautiful addition to any room in your home! 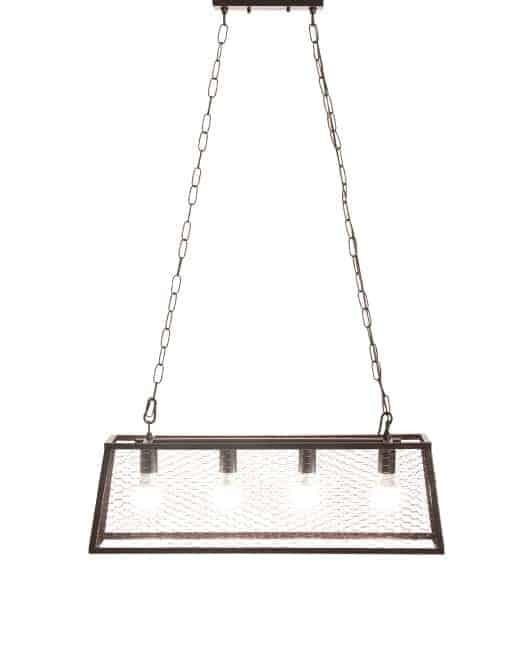 This farmhouse chandelier would look great in an entry-way or in another smaller spaced area as well. 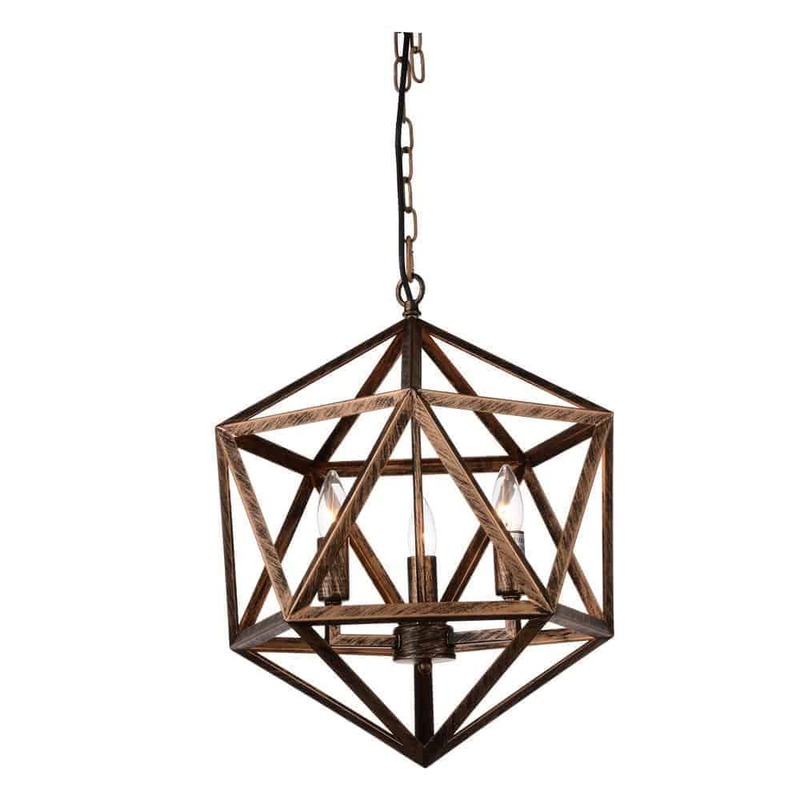 This mini rustic chandelier packs a big punch and is a huge addition to any space with its olde bronze finish (also comes in a brushed nickle finish for a more contemporary look)! 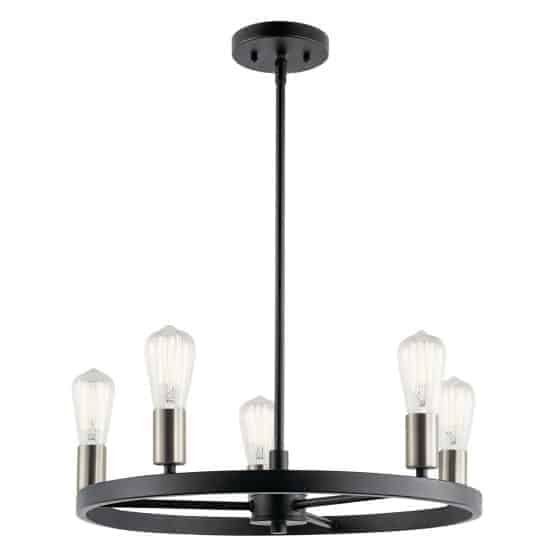 This farmhouse chandelier may appear small but it is mighty in style! Who can deny the beautiful design of this rustic chandelier? Would make a perfect addition to an entry way or dining room. Choosing the perfect rustic lighting doesn’t have to be hard. There are ways to decide what style works best for you and your home. Take a look at the room that you are wanting to add one of these rustic chandeliers to, and make note of the style. If your entire decor is in farmhouse, then focus on that and buy the most appropriate chandelier that complements the other decor in the room. Any one of the suggested rustic chandeliers above would make a great addition to your farmhouse decor in your home! What are you waiting for? Make your home shine brightly with the addition of one of these beautiful farmhouse chandeliers above! Which one of these rustic chandeliers is your favorite?? 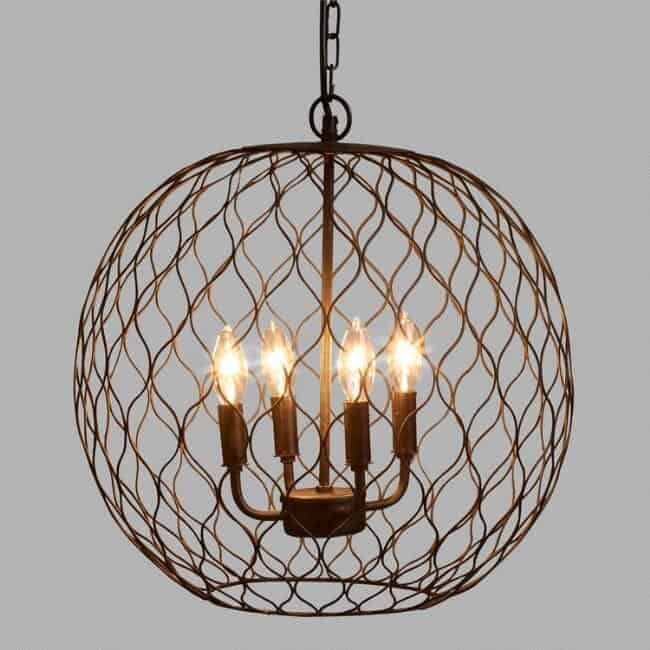 Your mama likes the rustic chandelier that is only $65!!! I saw this the other day on some site!!! Love these!! !